Active ingredients: Bulgarian rose oil, natural rose water, hydroxyl urea. 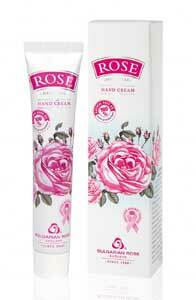 Softening hand cream suitable for all skin types. Preserves hand skin from moisture loss and from external aggressive factors. Absorb fast, gives hand skin smoothness and softness. Apply on clean skin with massage movements.